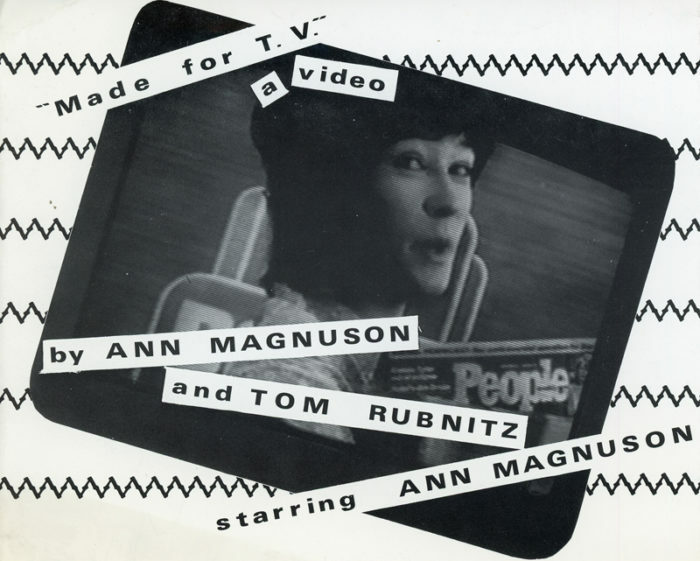 3-Fold card for the New York premiere of Made For T.V., a video by Ann Magnuson and Tom Rubnitz, starring Ann Magnuson. 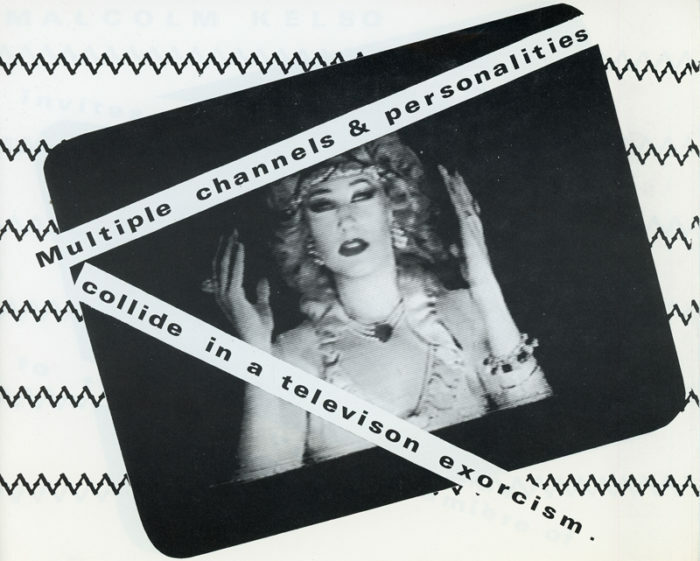 “Multiple channels & personalities collide in a television exorcism.” Presented by Malcolm Kelso. Back of the card unfolded is blank. 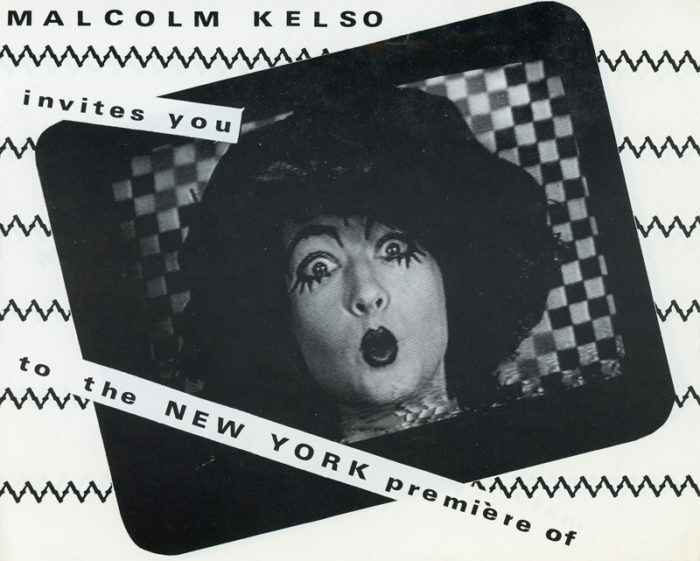 5.5″ x 7″ when unfolded.